Xtensio is a branded strategy and communications hub where organizations implement and organize marketing efforts across the internal team, clients and partners. Build and share any collateral you need with the editor. Your deliverables adapt as your project evolves. Whether you're coordinating a major marketing campaign launch, streamlining your internal communications, or creating reports and case studies, Xtensio is where your team's work flows. Build anything from strategic customer personas, proposals, marketing plans and landing pages with the ease of a web builder. Then quickly and easily reuse, update and personalize content for different campaigns. Work together as a team across departments and management. All changes are saved and synced across all devices. Everyone is always up-to-date and your inbox is clutter-free. Personalizing marketing collateral for different audiences and outlets is simple. Save any folio as a custom template for your team to reuse again and again. You can even publish it on your website to build your brand. 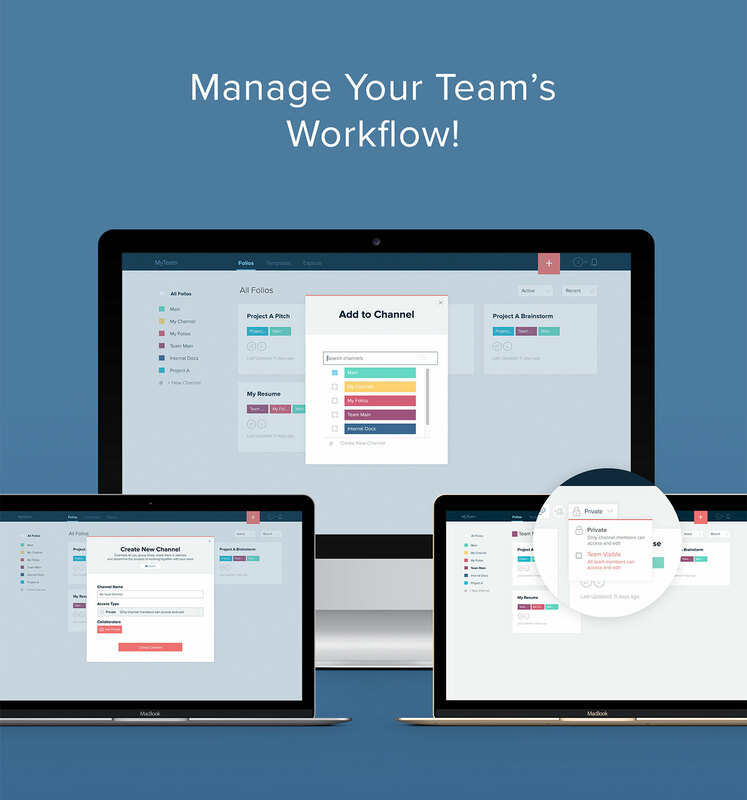 Organize your projects and documents by channel — campaign, department, client, reports, etc. Add collaborators or share the channel link so everyone has the access they need, when they need it. Utilize our templates and resources for different stages of implementing your marketing strategy — from uncovering your ideal customer and product-market fit to creating proposals and pitches or internal strategy exercises, sales reports and other marketing collateral. Remember, you can always start with a blank slate to build anything you need.